Starting from the next release of Ubuntu, that is Ubuntu 10.04 Lucid Lynx, each release of Ubuntu is going to come with a manual. 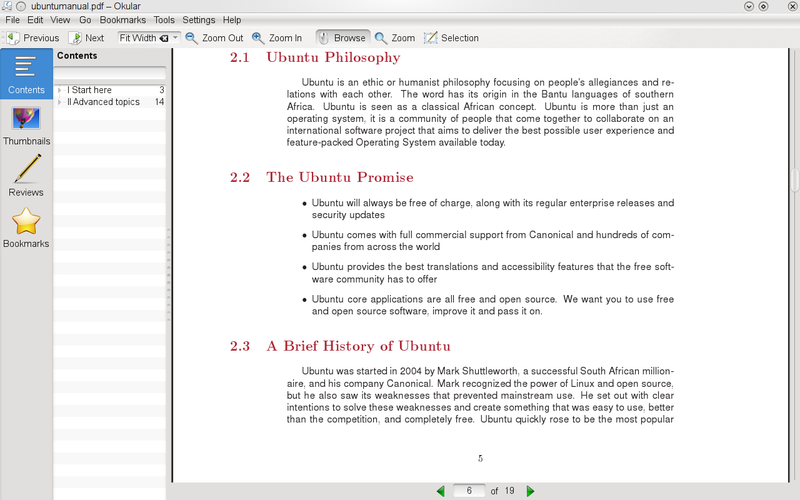 The manual is mainly designed to help beginners get up and running with Ubuntu. It will feature guides, how-tos and other things that a beginners might need to know after installing Ubuntu. The manual is going to be in the pdf format and will be revised every six month to coincide with the release cycle followed by Ubuntu. It will also be available on the same day of the Ubuntu release i.e. the manual for Lucid Lynx will be available on the day Lucid lynx is released. The manual is to be completely community maintained and written in such a way that it even a Ubuntu newbie can get up and running with Ubuntu using the guide.